Hey guys, I am sorry I am a day behind. I have kinda lost interest in this 30 day challenge. I found it interesting at first but now it just seems to be dragging. Anyway back on topic, 'A picture of someone/something that has the biggest impact on you'. I can not provide a picture as it is false images, so instead I provided a graphic of the name. 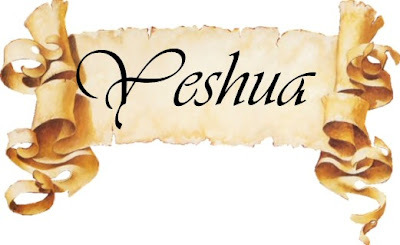 I am not a religous person, I do not have a religion but Yeshua has made a big impact on my life. Also my family have made a big impact on my life but they will not allow me to use their pictures on my blog.